We're your Handyman! No matter what job you have at hand around the house, we can fix it, repair it, replace it, or rebuild it. Do you have and unfinished basement? 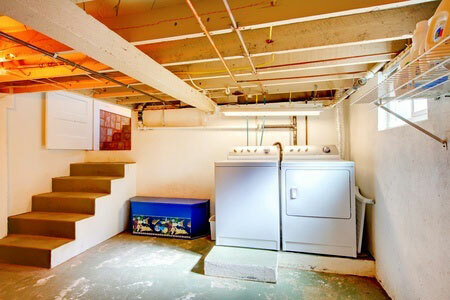 Maybe you want to update an old look in you basement. We have helped lots of home owners in Montgomery County, Maryland with ideas that will improve the overall value of your home and provide years of relaxation and entertaining room in your home. We serve the Montgomery County, Maryland areas including: Bethesda, Chevy Chase, Gaithersburg, Gernmantown, Potomac, Rockville & Silver Spring areas. 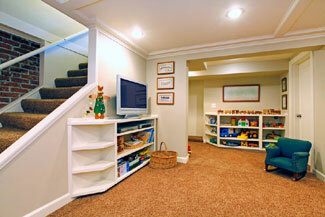 Did you know having a finished basement can raise the value of your home significantly. 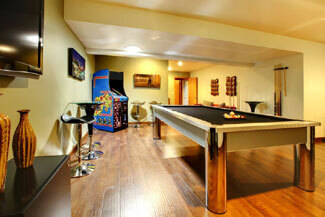 Your basment can be turned into a familyroom or game room. Maybe you need an additional bedroom. We can design you a perfect bedroom suite with bathroom for your teenager. 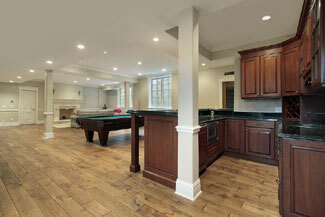 Call us today to discuss your basement remodeling project. We have some great Special Offers for new customers. 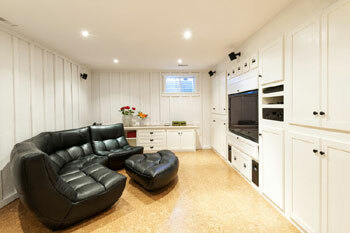 Here is a list of the basement remodeling services we provide. Don't see what you need on this list? Please call us today and tell us what your project requires. Caulk or Re-caulk windows, doors, sinks, tubs etc. Put in a place for real entertaining. Make time for things that matter. Call a professional handyman today to get your home repairs & "Honey-Do" list done without all the hassles. They were great. They were very easy to work with. The owner actually met me at a tile place to help me pick out tile for the bathroom. They gave me great advice, they did great work and I would highly recommend them. Nationwide Handyman® accepts your check or these credit cards. Our specialty helping you redefine your basement..
We specialize in these home remodeling projects; Kitchen & Bath remodeling services, Basement remodeling services, and Handyman services for all the rest of your projects throughout the Montgomery County, MD area. Copyright © 2009 - Nationwide Handyman - All Rights Reserved.